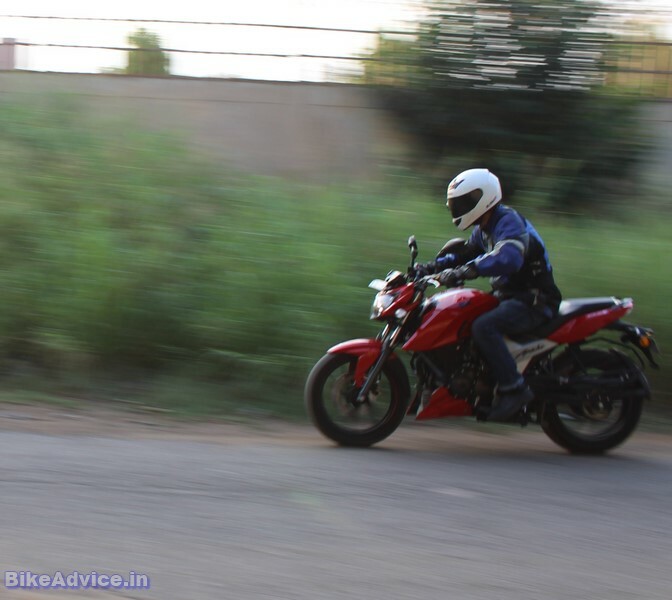 This TVS Apache 160 4V review would have gotten published sometime back, had I not been busy answering questions about the bike on its acceleration and top-speed videos on my recently started YouTube channel. I hadn’t really expected such a response on those video clips, but I guess it reiterates the importance of acceleration and top speed bragging rights for buyers in this segment the most. Interestingly, this won’t come as a surprise, but indeed is quite ironical, the most asked questions on these videos were on fuel-efficiency, followed by vibrations, and other stuff. This should tell you that we are the most demanding motorcycle customers in the world. We want our 150s to embarrass an Ariel Atom in the 0-100 km/h sprint; show our LED tail-lamps to a Kawasaki Ninja H2R at the Bonneville Salt Flats; have a more cosseting ride than an S-Class, and still be able to corner better than a Daytona 675, while offering at least as much off-road prowess as a TVS RTR 300 FX. And we want all of that at a used Splendor’s price. Of course I am exaggerating, but the reality is not that different either. And then I think us testers should stop talking about a bike’s design in our reviews. Because, as reviewers, our job is to inform you about the facts you don’t know, and how a motorcycle looks is something you always already know. You might find it beautiful or ugly or maybe just palatable, but who are we to tell you that? Here, we really have to understand that our role is not much different than the person’s you go to for advice on something like, say, marriage. That person won’t be describing or discussing your potential partner’s physical attributes, right? You might be discussing a million things, but not looks! However, there are people who seek validation, unnecessarily, and that’s okay. It’s absolutely human to do so. These are the people who would want to know how a reviewer feels about the design of a motorcycle. Okay, then let me tell you straight up that the 160 4V won’t be turning any heads, period. But you must also remember the fact that there’s actually no motorcycle in this segment right now that turns heads. 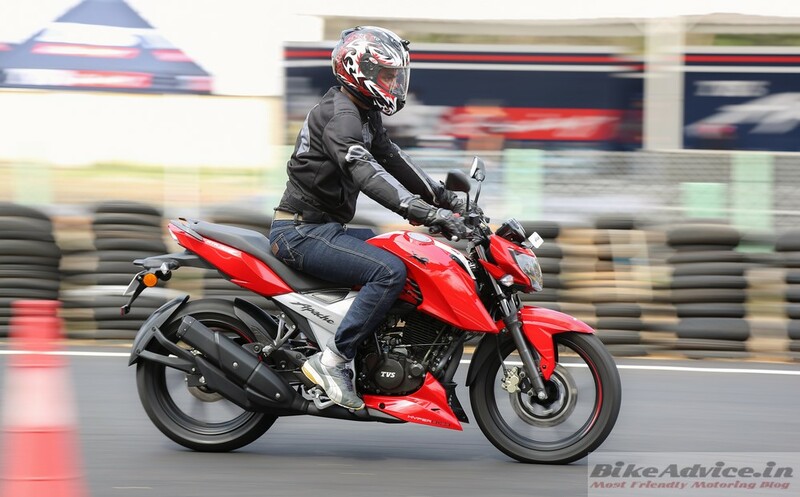 The FZ did that a decade ago, and the Gixxer did too in the first year of its launch, and that’s about it. No one gives a second look nowadays to any of these motorcycles, but does that mean that these are not good-looking motorcycles? Absolutely not! 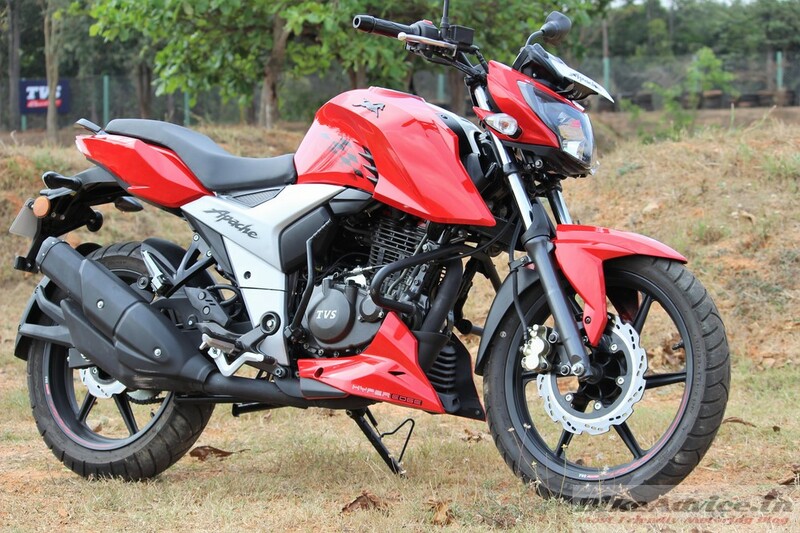 Similarly, the latest Apache is also not a bad-looking motorcycle, but it’s robbed of any novelty, that it could have enjoyed, all thanks to its bigger brother – the RTR 200 4V. When that bike was launched, it was an absolute fresh design, and yes, it did get a lot of attention on the roads. Check my review of it, and you’ll know how much I had liked it. It still looks handsome, and the same can be said about the 160 4V – the 160 also looks sharp and aggressive, and has just the right amount of muscle without being overbearing. There are a few differences between both the bikes, but they are way too subtle to get noticed in motion. I challenge you to tell these two bikes apart in moving traffic. Of course, you’ll be able to point out the differences if the bikes are stationary and I was lucky to capture both not far from home. 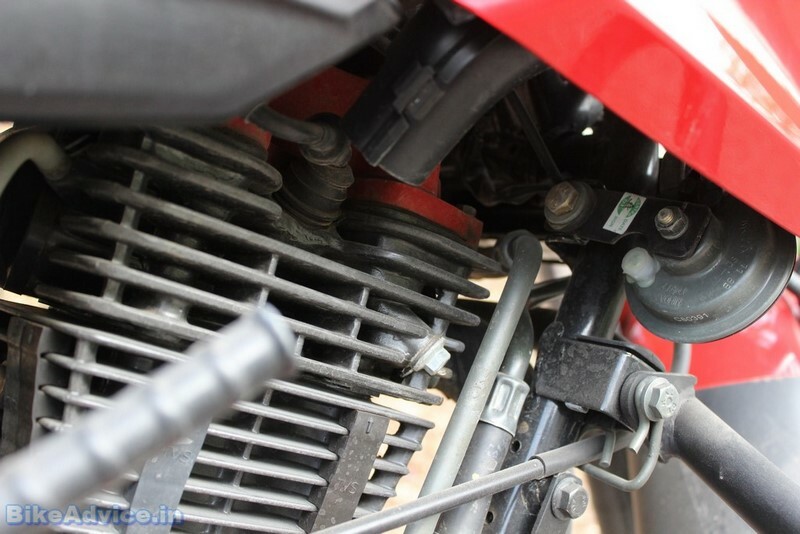 You’ll see that the alloys are different, so is the handlebar, and the seat too. There are a few other differences, which I will either not touch upon, because they won’t make a difference to your purchase decision, or I will talk about them later when we reach those sections of the review. So allow me to talk about the seat and the handlebar later as well. Right now, let me tell you that I like the 160 4V’s alloys more. While at it, let me also share that the bike’s paint luster oozes richness, and so does the overall build quality of this motorcycle. Full marks to TVS here! 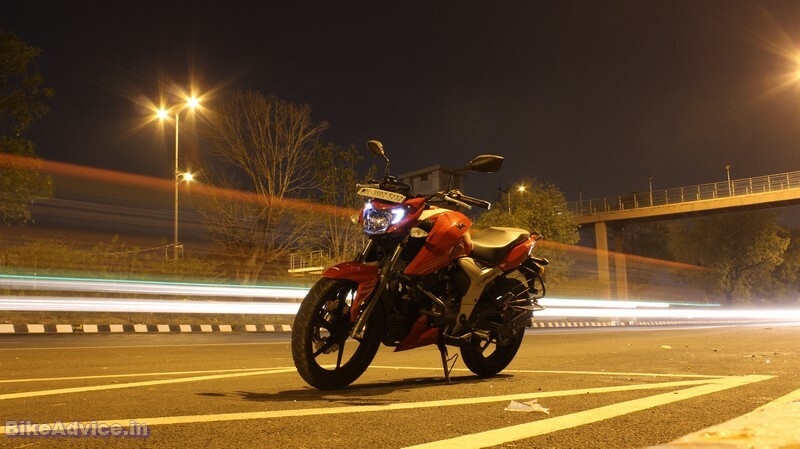 It would suffice to say that in the company of its competition that comprises the FZ, Gixxer, Hornet, and Pulsar NS160, the RTR 160 4V feels second to none in design, presence, and build quality. 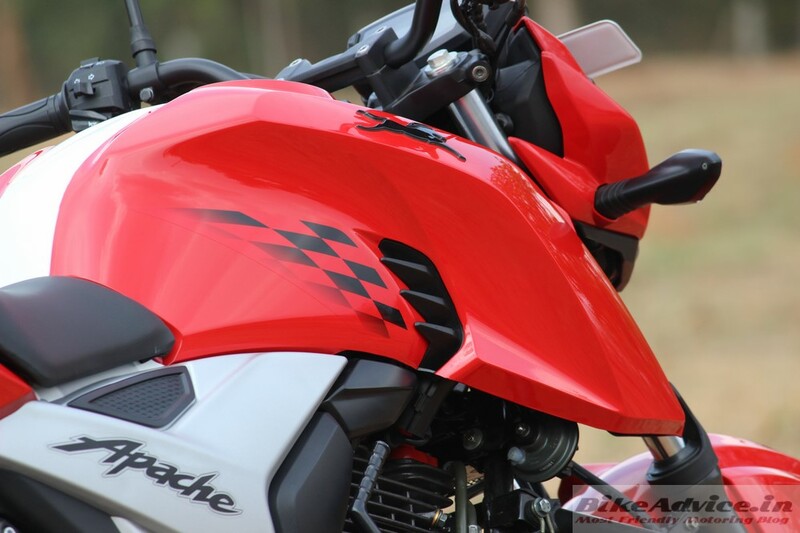 Come to think of it, there are just two main aspects of a motorcycle – how it looks, and how it goes. We have already discussed the former, while the latter is something that will take into account everything right from the moment you swing a leg over the saddle to the point of hitting the redline in top gear, and beyond. Let’s start from the saddle itself then. The 160 4V has a saddle height of 800 mm, just like the 200 4V, and keen readers by now would know that 800 mm is the highest short riders like me (I’m just a couple of mm over five feet) can manage by tiptoeing – anything higher and the bike becomes almost impossible to ride for anyone who’s around my height or for most people who are shorter than 5’5”, unless they wear thick-soled boots. Thankfully, the mid-section of this motorcycle is narrow enough to facilitate a straight reach to the ground for most short legs. Taller people would be more comfortable on this motorcycle though. 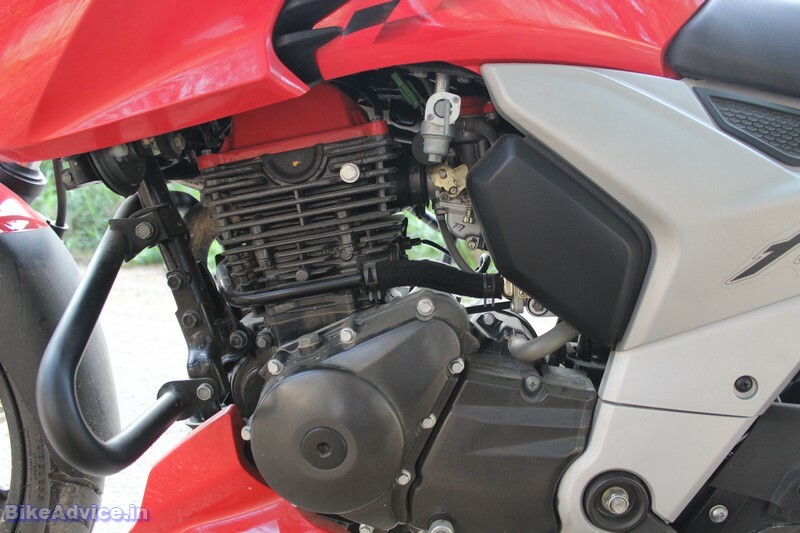 However, the seating position would be liked by all as it almost mirrors the riding position of the 200 4V – a bike which offers the best riding position for “untiring sporty riding in the city”. You sit upright with just a hint of forward bias that’s complemented beautifully with an equal rear bias for the footpegs. This combination allows for the perfect riding position for spirited riding in the city without forcing you to keep your chiropractor’s number on speed dial. The saddle itself is well padded and quite comfortable, and being a single unit, unlike the 200’s split seats, there’s a tad more room for the pillion as well. 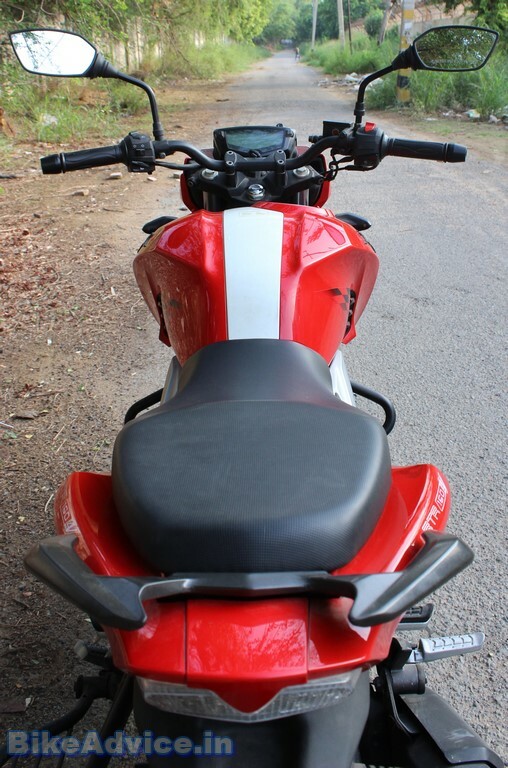 In fact, I feel the pillion seat is as good as the FZ’s, which has been the segment benchmark since day one. But no matter how good a saddle is, it would be almost useless if the suspension is rebellious in nature. Fret not, nothing of that sort with 4V junior as well, as it has learnt some soft skills from 4V senior. Therefore, no matter what kind of a rude message the road has for your spine, the 160 4V’s suspension relays it to you as politely as possible. 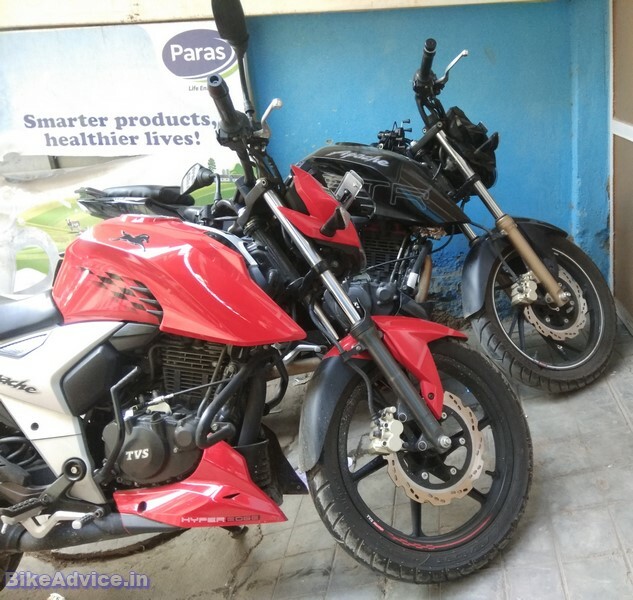 I must add that the 200 4V is on a different level altogether in ride quality (better than everything else in the segment, including the FZ-25 & NS200), but the new 160’s ride quality is now on a par with the competition. 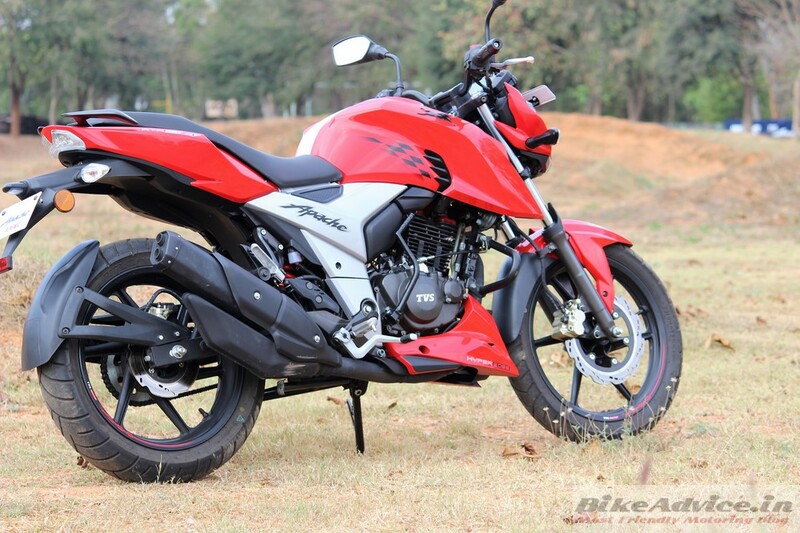 For a better perspective, if I were to rank it in its segment, the accolades would appear something like this: it would be the Gixxer at the top for solo riding on bad roads, and the trio of FZ, 160 4V, and Hornet collectively at the second place. However, when it comes to riding on bad roads with a pillion, the trio would be holding the winner’s trophy together in the obligatory picture, while the Gixxer would be feeling a bit lonely on the runner’s up podium. 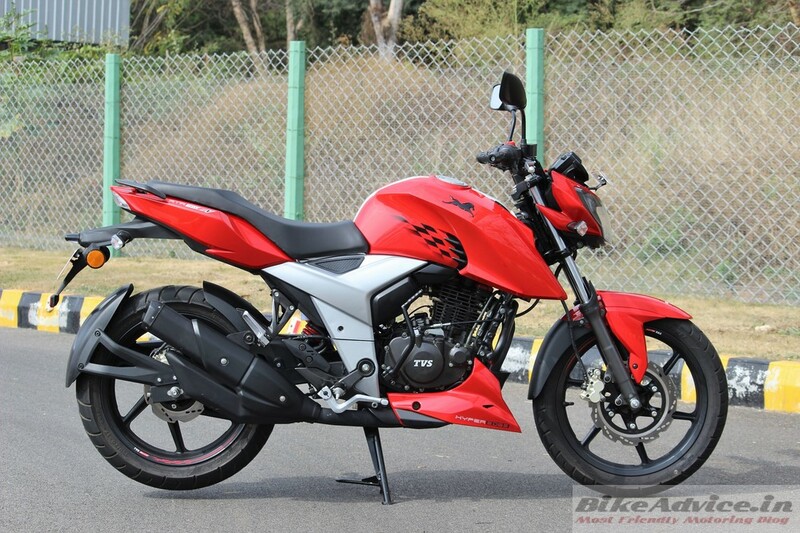 Please note that I have not tested the NS160 (Bajaj do not have media units in Delhi) and as such I cannot comment on its suspension tune or any other aspect. But this TVS will lose to all in the segment if a “draw-figure-8” competition were to be held. It has the biggest turning radius of them all, which is quite surprising for a naked motorcycle as it’s easier for a manufacturer to dial in a generous amount of steering lock in a naked than in other types of motorcycles. The largest wheelbase in its class is a partner in crime too, but it has more pros than this single, that too a minor, con. Again, it’s not really a big issue, unless your job is delivering parcels all day in the narrow bylanes of ghettos. And even if you’re in such a job, you’ll be keeping your clients really happy because you will be the quickest and fastest delivery guy in the city! 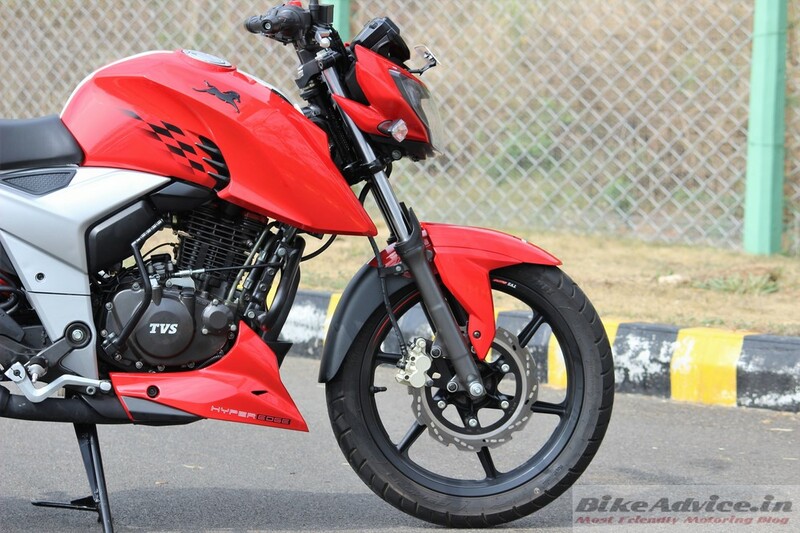 The chaps at TVS have gone nuts with the engine power and torque of this one! Forget the specs on paper, which are anyway the best in segment, because this bike just massacres the competition in both acceleration and top speed stakes in the real world! In fact, it is so good, that even its bigger 200 4V can’t take it for granted. Take a look at the video clips below if you do not believe me. And the killing does not stop here. This is also the first time in this segment where a bike is strong everywhere in the rev range! Usually, the nakeds / street fighters are just required to have good initial and midrange pull whereas the top-end can be sacrificed. 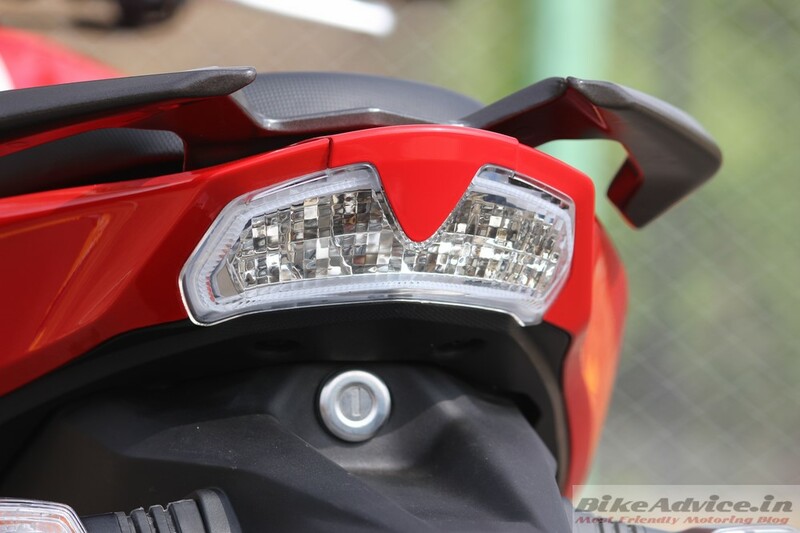 However, it seems that TVS were not only hell bent on leaving the competition in the dust there, but also wanted to add salt to the injury by putting a leap year’s gap between their bike’s top end and others’. The advantage of producing the most power and torque in your segment also gives you the liberty to whack the throttle open in any gear at any rpm and still leave the others behind in no time. I recorded the in-gear acceleration times too for you, which I’ll share in a minute, within which I will also tell you how tractable this motor is! Getting down to 30 km/h in 5th, or 20 km/h in 4th, does not faze this motor, and you can roll on smoothly from these speeds without downshifting! And downshift if you must (for fun), the precise gearbox obliges every time, while also never missing a shift under berserk upshifting. Let me show you both the in-gear acceleration and tractability video clips now. The icing on the cake is that there are no vibrations up until 110 km/h! That’s the biggest achievement of TVS – keen readers would know that I have tested more than one big (> 500cc) multi-cylinder motorcycle where vibrations kick in around 90-95 km/h! The air- and oil-cooled 160 4V also retains the ram air cooling duct of the 200 4V whose outlet juts out alongside the spark plug cap. It does its bit in helping that four-valve head keep its cool. But all that best-in-segment performance does take a toll on the fuel efficiency. I got a dismal figure of 30.03 km/l in my test. Mind you, that is the figure I got after doing all these speed runs, and I did not get a chance to ride the bike sanely on highways. Plus, the bike came to me just after its first service, so that figure would have seen a marked improvement after a couple of more services. 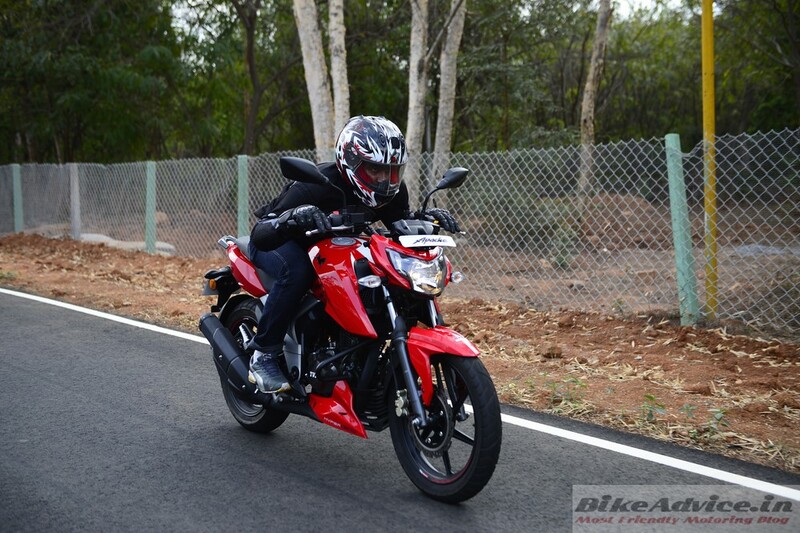 I can stick my neck out and say that you can expect around 38-40 km/l in the city, and it should be able to touch 42-45 km/l on the highways if ridden with a considerate right wrist. 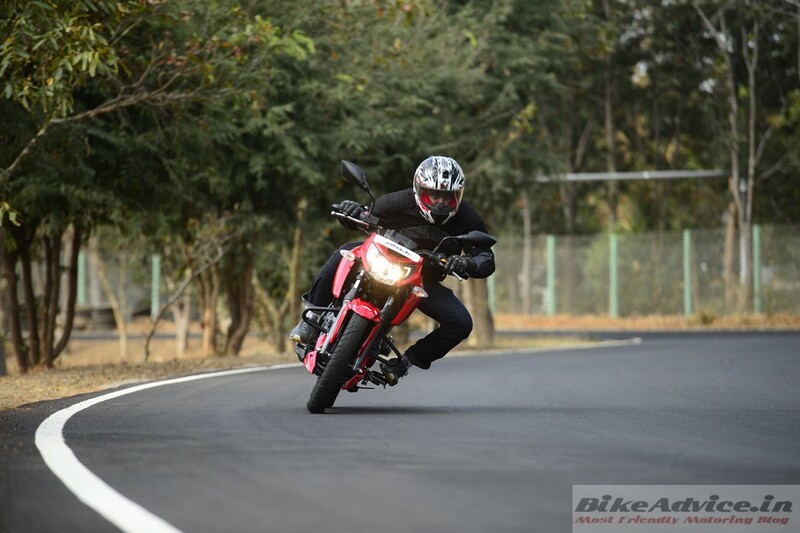 What I also love about this bike is the fact that despite weighing a lot more than the FZ and the Gixxer, it feels almost as light as these bikes, and that makes rush hour commutes a cinch on this one as well. 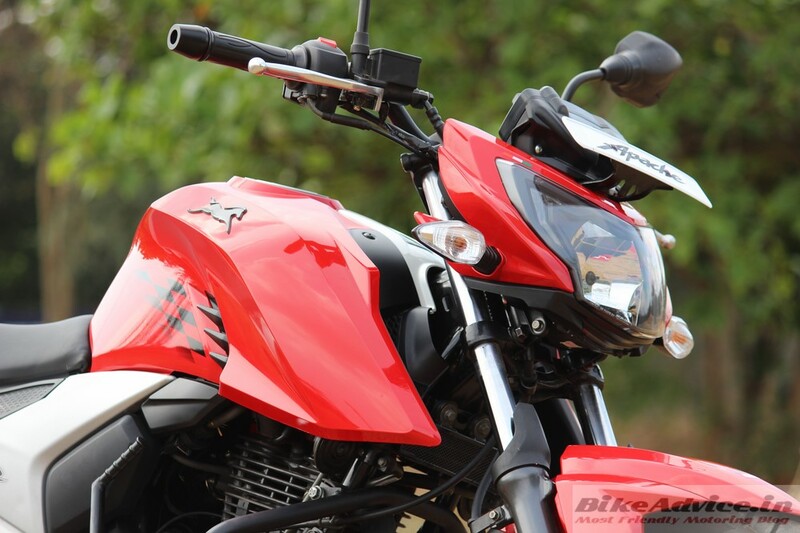 Moreover, it has all the fine handling traits of the RTR series. It’s a natural in diving in and out of corners, and the stability at all times is damn good too. However, the Remora tyres are average at best, and the same can be said about the brakes. That said, most owners will find the grip and stopping power to be adequate unless they really push it. 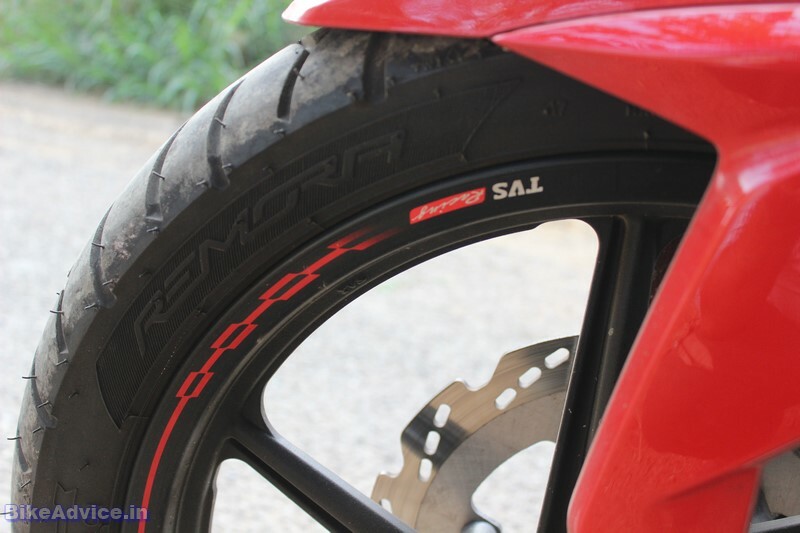 This motorcycle is available in three variants: an FI that comes with Pirelli rubber as standard and disc brakes at both ends. That bike also gets a lap timer and a gear position indicator. 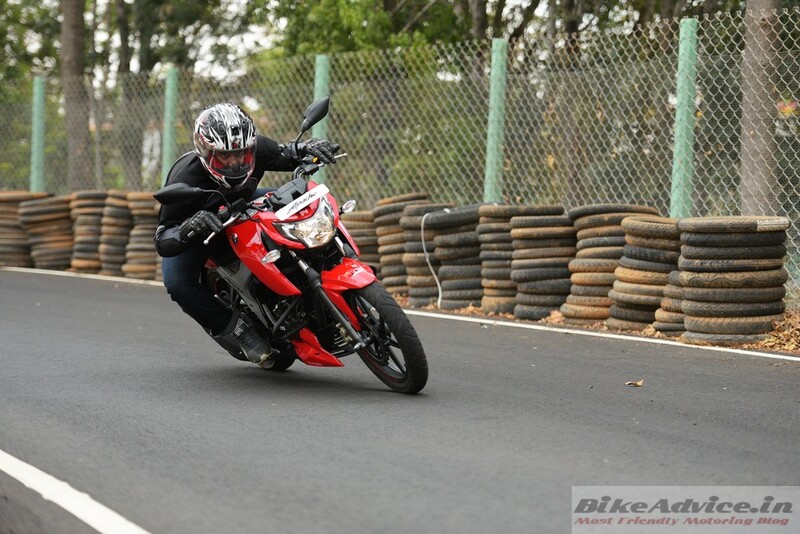 The bike we tested was the carb variant, which comes with the rear disc as well, but gets Remora tyres. 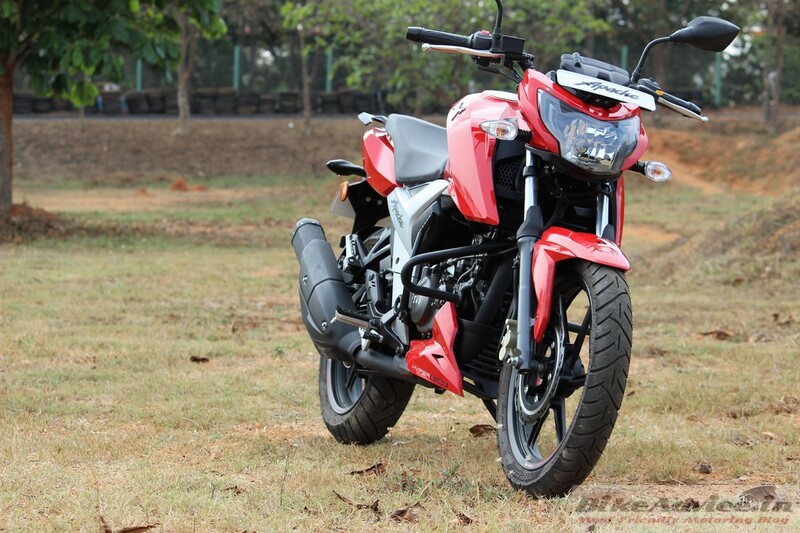 The same bike has a cheaper variant that misses out on the rear disc and gets a narrower rear tyre. That variant should deliver slightly better fuel efficiency as well. And I think the FI would be a shade frugal as well. 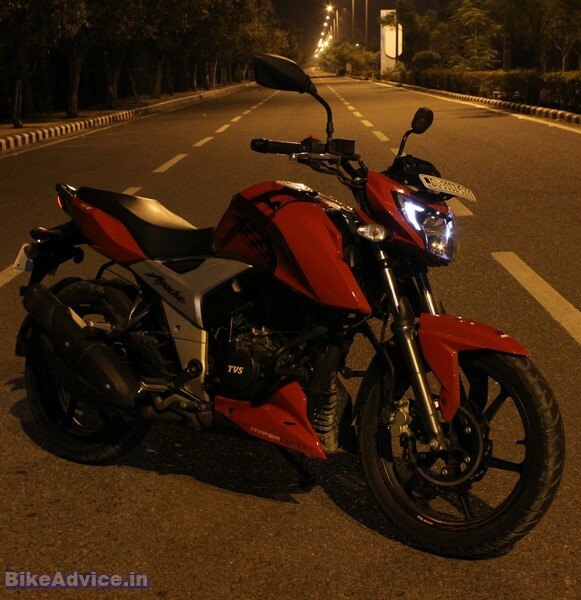 However, if you want a 160 cc bike with the most grunt on offer, look no further than the variant we rode. 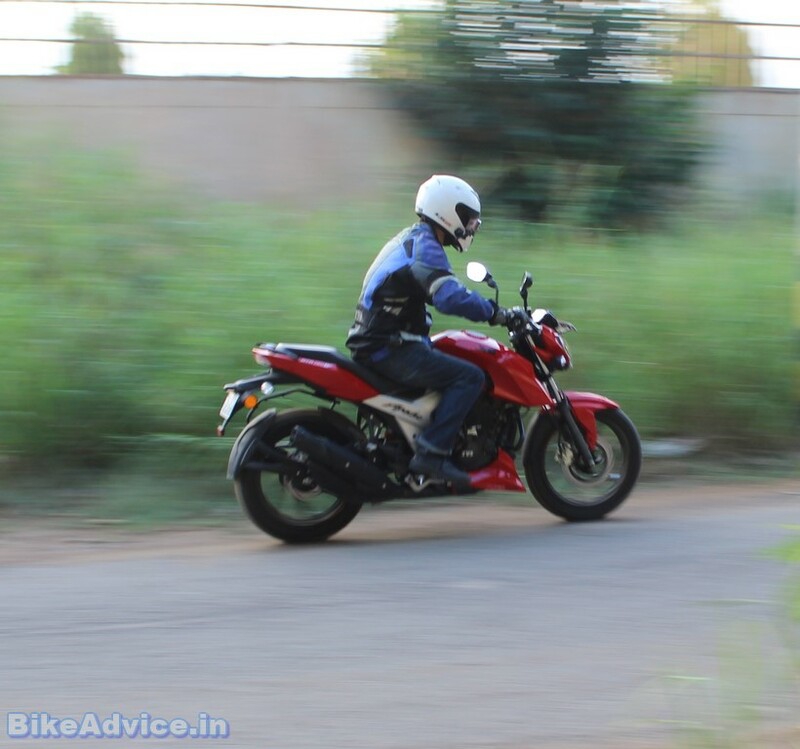 Our editor, Saad, who attended the media ride earlier this year, corroborates the fact. 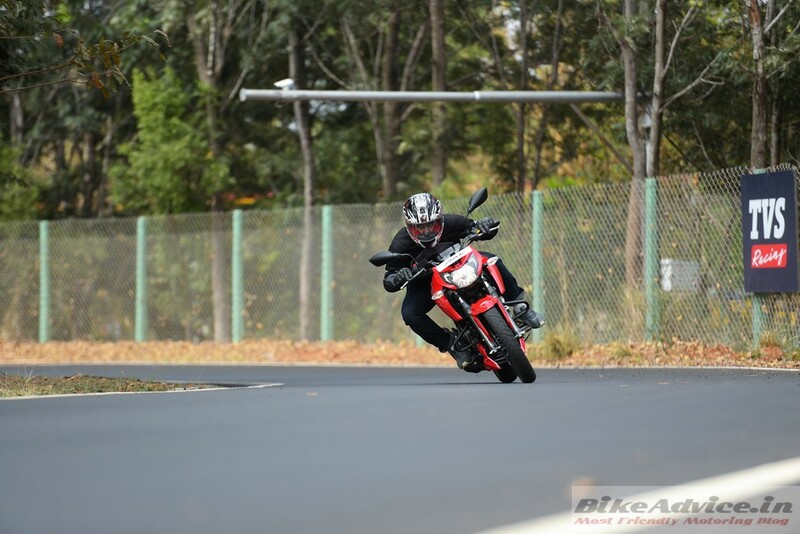 It’s not only the quickest and fastest motorcycle in its segment, but also one that does most of the other important things either as good as the competition or even better than them. 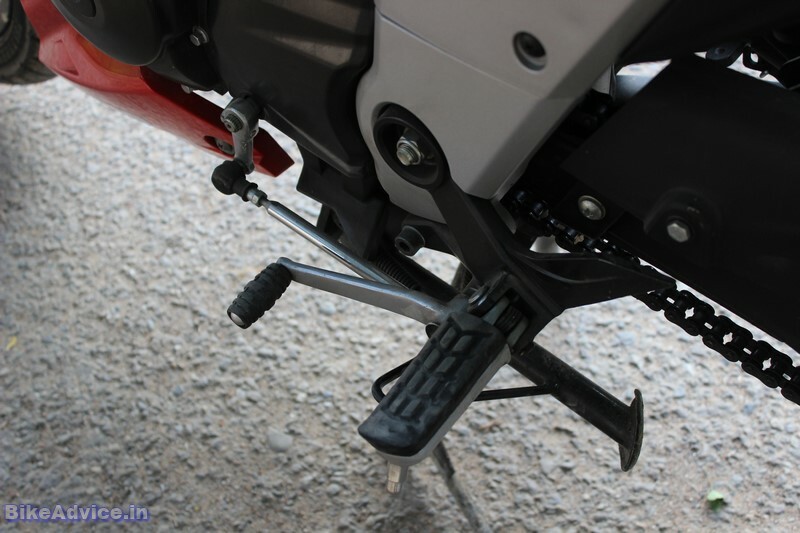 I forgot to tell you that the RTR 160 4V also has the best in segment ground clearance as well. The bike would never bottom out on even the most monstrous of the speed-breakers, even with a heavy pillion on board. 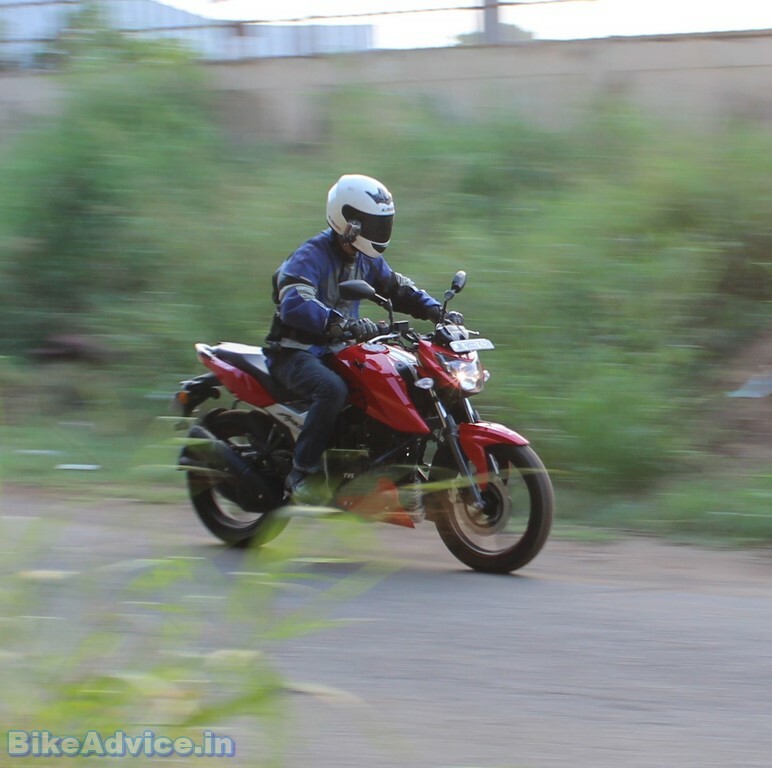 And like I had said a while back – you can even get it to deliver decent fuel efficiency by riding sanely most of the time. It should not be a difficult thing to do, especially when you know that when the need arises, one twist of the wrist is all it would take to leave the entire competition behind.